Description: The Island of the Dolls is a strange and eerie tourist destination in Mexico, where hundreds of decomposing dolls hang from trees like grisly Christmas ornaments. On a trip to the island, Joyce Parker's daughter falls in love with a beautiful but sinister doll. Soon after, she starts developing strange mannerisms that concerns Joyce. 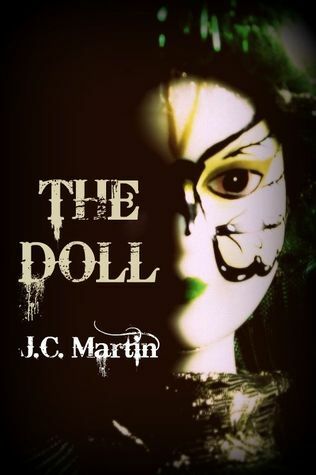 Her research into the doll's past reveals a dark history, and the curse of a lonely child spirit. J.C. Martin is hosting a Trick or Treat Spooktacular and it ends tomorrow, November 1st. 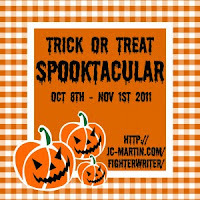 Click here to see more information about it and to follow J.C.'s blog.